On November 19-21, the delegation of the State Service of Geology and Subsoil of Ukraine, – Acting Head of the State Service of Geology and Subsoil of Ukraine Oleg Kirilyuk, Chairman of the Board of NAC «Nadra Ukrainy» Yaroslav Klimovich and General Director of State Enterprise «Ukrgeofizika » Anatoly Begal visited Geological Service of Sweden (Stockholm and Uppsala). During the meeting representatives of the Geological Service of Ukraine and representatives of the Swedish Geological Service discussed the issues of intensifying exchange of experience in the field of subsoil use and exploration. The Swedish side has declared its willingness to provide support to the Ukrainian Geological Survey on the transition path to the European standards in the field of subsoil use and drafting a Mineral Strategy of Ukraine. 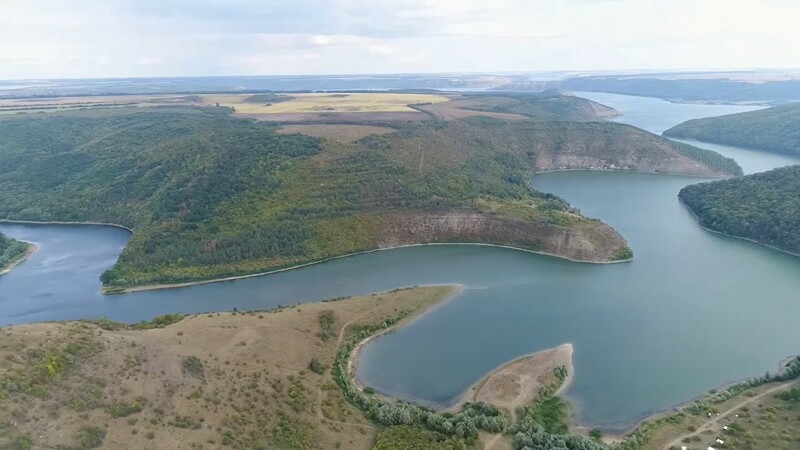 “As Ukraine is on the path of reform of the system of subsoil use, our specialists will be happy to share their experience with Ukrainian counterparts in improving the development of the geological service of Ukraine. We know that Ukraine has great potential to be a leading mining country not only in Europe, but also in the world, because your state is one of the top places in the reserves of many types of minerals. We hope that our knowledge will be useful to Ukraine, “said Eric Ingvald, a leading geologist at the Geological Survey of Sweden. Oleg Kirilyuk assured Swedish colleagues that such experience is extremely important for Ukraine. In particular, the Ukrainian side proposed to carry out, under the auspices of the US Government and in conjunction with the US Geological Survey, the project “Road map of exploration of hydrocarbons on the Ukrainian shelf and land”, which will promote the attraction of American investors. At the meetings was present Mrs. Ingrid Verstraeten – Director of the Eurasian Department of US Geological Survey was present at the meetings in Sweden. “I am impressed with your position regarding the demonopolization of exploration of minerals, in connection with which you will have completely different approaches to the mineral raw material base, as well as the reforms made by the Ukrainian government during this year regarding simplification of permitting procedures shows that Ukraine is ready to work with investors. This will be a serious step in cooperation between the US and Ukrainian geological services. We need to move forward on issues that have been worked out today. From this we will benefit all stakeholders, “said Ingrid Verstraeten, Director of the Eurasian Department. This visit took place within the framework of the program of technical assistance to the Geological Service of Ukraine “SUPPORT FOR MINERAL STRATEGY OF UKRAINE”, which involves the US and Sweden, Estonia and Finland, with the funding of the United States Department of State.